Eat My Dirt, says it all. 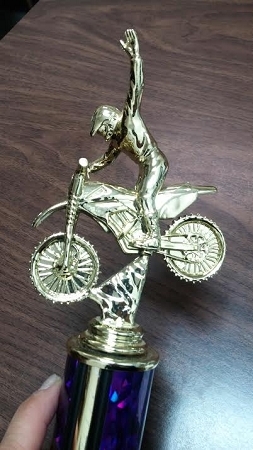 Give this to the one in your trail, who's competitive spirit helped you win. Includes 2 lines of engraving.